My friends Jake and Kristina got married last weekend and I was so excited to shoot their wedding! Haha, love that bathtub photo. I like the effect of her foot. Did you use a special lens to shoot that one? I never seem to get that effect with my regular 18-55mm lens. your pictures are just the best one! I d love to have you as photographer at my wedding! such amazing moments! fabulous wedding pictures! unlike any other! LOOOVE these photos. you always have such a good touch to them! the bathtub one is so fun. I would get married again just to have you photograph the wedding ~ look at all those HAPPY photos! that wedding did look fun! i love every single shot! :D Amazing and stunningly beautiful. Awesome photos, as always. :) Love 'em! haha yes! love the tiny flasher, she'll for sure know how to get the little dudes. such amazing photos! oh my! such wonderfully funny photos! I'm going to shoot a wedding in a month but I think those photos will be more on the "serious" side. Not sure though. Maybe I should get some inspiration from you and remember the FUN as well! 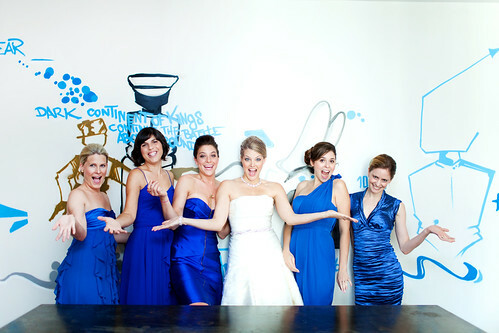 I love the bride's dress and her blue shoes! Awesome! Your eye for details and composition is really incredible. Well done! I love your photos! What a beautiful wedding- all those people look like so much fun! I get to take pictures of my grandparents' 50th anniversary! I like your pictures!!! Oh, this looks like a lovely wedding. So much fun at this wedding! Love the bright blue! And the lovely and quirky moments here and there. these are FANTASTIC! i love when wedding pictures are not serious! it should be a day of fun and laughter and it looks like this wedding was! by the way the colors in all of your pictures are so beautiful, crisp and saturated! What a cute wedding! I love the first shot in the tub...can't miss any moment. My next favorite is the shot with mom and daughter. So precious! And the clothes and shoes. 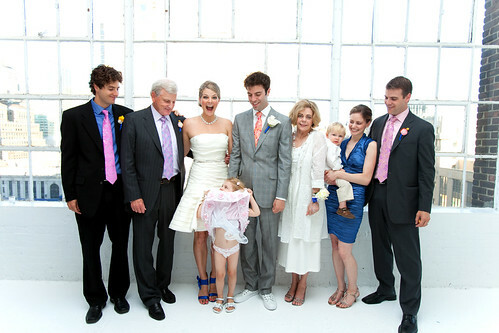 Love, love, love the blue shoes with the shorter wedding dress. So unique and yet it really works! P.S.-Love your blog...all the color you capture is truly inspiring! oh baby. that is ONE GORGEOUS WEDDING. drooool. I love the light on the second picture! What a lovely and fun set of wedding photos! Really made me smile. I will be shooting first time in a wedding tomorrow and I'm so nervous... Greetings from sunny Finland!! Wow! You take absoultely beautiful pictures; they're SO you! =D I wish I could have you in my wedding :/, but I'm sure we won't be able to affor it. Those are awesome photos!!!!! And hey I recognize Jake from the first (I think first???) season of Road Rules on MTV when I was in high school! @ Cailean- haha so funny you recognized him! Fun photos! I love weddings! They just make me smile! I love weddings. The pictures are beautiful. your work/style is so inspiring! thanks for sharing! 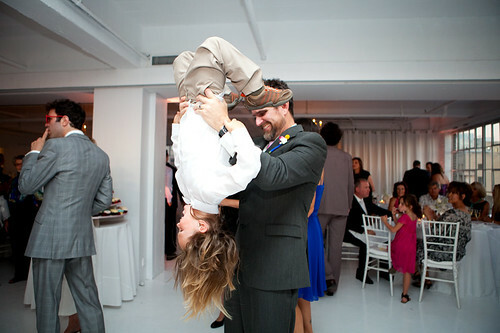 I bet you make a wedding more fun too! I love the fun factor in all your photos. 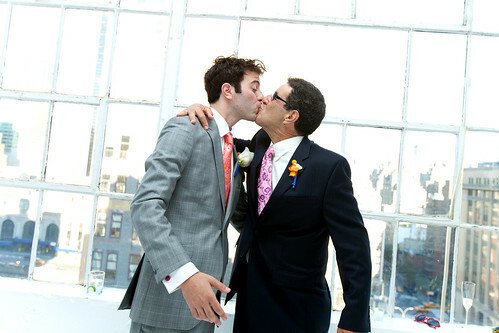 That photo of the son and dad kissing makes my heart smile. That is my fav for sure. Oh how I wish all weddings were like that! You seem to make people happier just taking pictures of them. Your photography is amazing! I love your style- so unique, the colors pop like I've never seen. I really love it. If I ever renew my vows or something, I want you! I love these photos SO much! 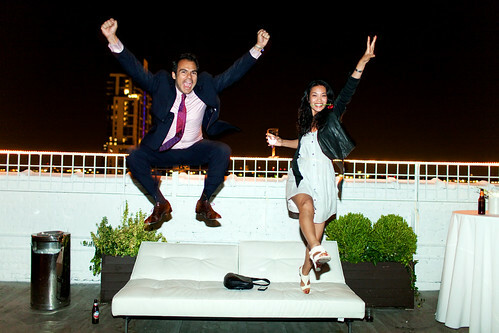 They are so fresh, fun and different from most weddings I see. I wish I could get married again just to have you photograph it for me!@! OOHHHH MY these pics are FABOOOOSHH!!!!! ahh congrats! looks like you had a great time, the photos are great! it looks like an absolutely wonderful wedding to have been at! LOve this. Looking at weeding photos makes me inspired. These are truly amazing photographs!! Cute! Her dress is pretty! i remember my weeding!! jejeje ist so cool this post katie!! see you!!! 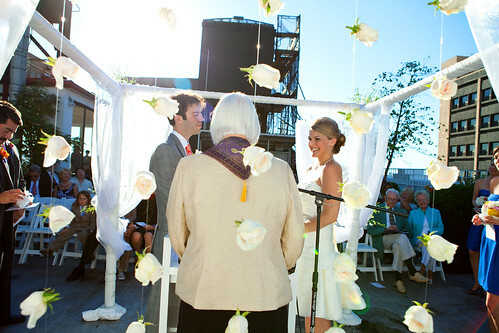 I'm convinced: you MUST shoot my wedding someday! never seen this kind of wedding shoot before. it's funky! i'm planning mine.. and you're more then welcome to crash it!! infact can you shoot it!? What a fun way to celebrate! I'm digging that brides electric blue shoes...something *really* blue, eh? Wow! Your photos are an amazing. I love the bathtub one. Be my wedding photographer one day? Such gorgeous photos! Girl... This wedding is just gorgeous!!!! You really know how to take de best of everything!!!!! eeeeeeeewwwww ur dad snoging other man?yuk!well exept from that me and mum wanna be like you!by the way im eight yrs going in yr 4! har har. Katie these photos are fabulous!! What an adorable couple and a fantastic looking wedding! Congrats to your friends! Adorei as fotos - ficaram maravilhosas!!! !